Ottas, a small group of tribals, perform this form of ritual dance on festive occasions to depict episodes from epics and other ancient stories. The women folk also participate in the dance.History and Performance Context The urumi is a folk instrument typically played by Dalits This drum is widely believed to possess supernatural and sacred powers. When played in religious ceremonies and processions, the performance of specific beats on the urumi may induce spirit possessions or Trance. 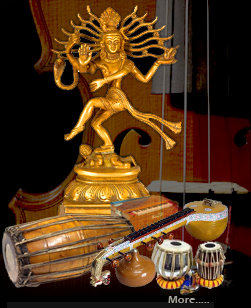 The urumi is most often performed in two types of ensembles: - Urumi Melam - Naiyandi Melam. Paampu attam is yet another typical speciality of the southern region is the snake-dance which arises from the popularity of the snake as a protective divinity, safeguarding the health and happiness of the rural folk. Usually danced by young girls dressed in a tight-fighting costume designed like the snake-skin. The dancer simulates the movements of the snake, writhing and creeping, at times making quick biting movements with head and hands. The raised hands held together look like the hood of a snake. This is the Dummy Horse Dance where the dancer bears the dummi figure of a horse's body on his/her hips. 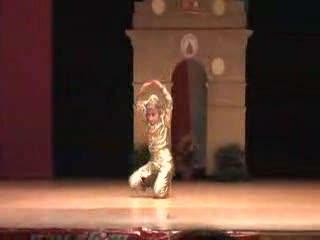 This is made of light-weighted materials and the cloth at the sides swings to and fro covering the legs of the dancer. The dancer dons wooden legs which sound like the hooves of the horse. The dancer brandishes either a sword or a whip. This folk dance needs much training and skill. 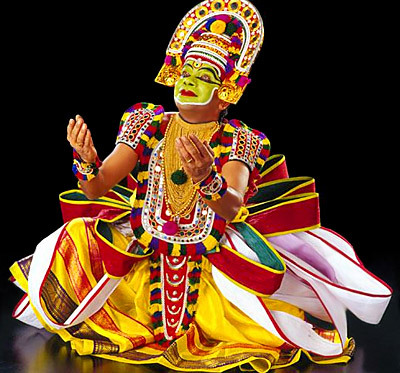 This dance is accompanied by Naiyandi melam or Band music. This is connected to the worship of Ayyanar, prevails mainly around Thanjavur. Oyil means beauty. This dance is hence the dance of beauty. Traditionally, it is danced only by men. Ten years ago women also began to participate. 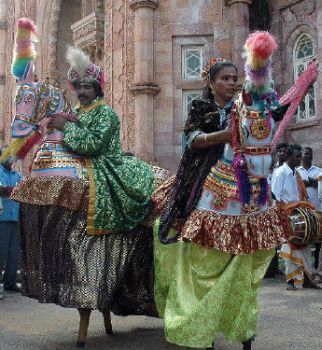 This dance is prevalent in the south districts and Kongu Nadu in particular. First a few people will stand in a row and start dancing with rhythmic steps with musicas they like. The dancers wear ankle-bells. Normally, the dance is performed with the accomplishment of musical instruments and songs. It is performed near the temples or public places in the morning and evening hours, at times even till midnight. Styles of Oyilattam differ from place to place.